We’ve always appreciated minimalist website design, especially minimalist WordPress themes, as most have a tendency to end up cluttered with post meta information, comment utilities, and other infrequently used add-ons. Striking the right balance between minimalism and feature bloat is a tricky task, and we salute all the designers and developers of the themes below for their success. What makes a theme minimal? Let’s spend some time discussing that before we get to the list. As it pertains to web design, minimalism refers to sites that include a lot of whitespace around the content, which forces the eye to the content itself rather than to the site’s structure or layout. A minimal site might have a large featured image or header, straightforward navigation, clean typography, and not much else. The idea is to let your content stand on its own without distraction. Do Minimal Sites Lack Features? Not necessarily. Many minimal themes come with a lot of features on the back-end like a page builder, page templates, galleries, and social media integration, but the front-end output is without clutter. 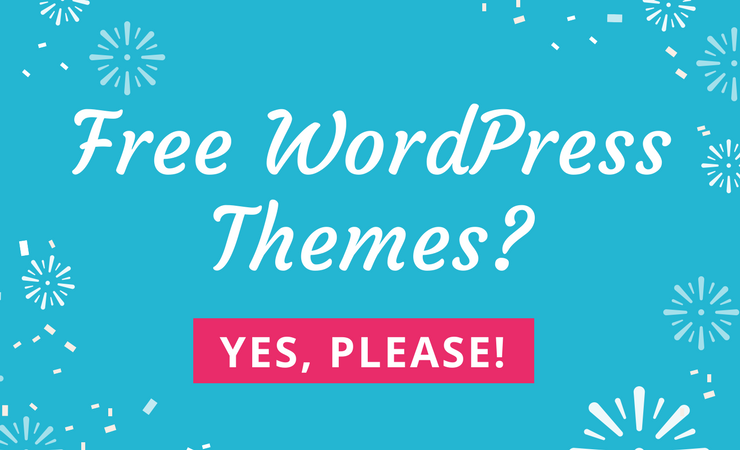 Basically, you can still get all the options you want for site setup with these themes; the presentation just lacks distractions. 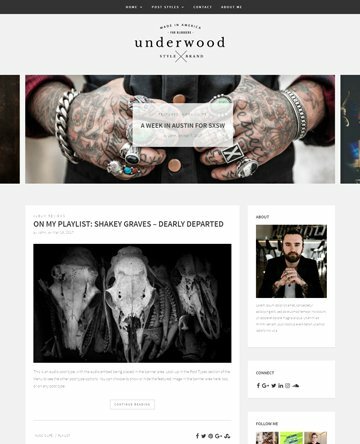 Here are the best minimal magazine and blog themes currently on the market. 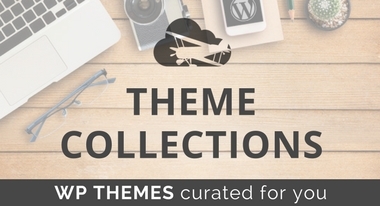 If you have a suggestion for a theme you think should be added to this collection, please leave a note in the comments. Meet Metro Magazine Pro, a clean and elegant WordPress theme perfect for magazine sites with lots of content. The responsive theme has well-thought-out layouts with ample negative space so people can easily focus on your content. Its most impressive feature is the advertisement module, which provides Google Adsense friendly spots, allowing you to make more revenue from your site. It even includes a nifty in-built ad-blocker detector, which will help you maximize your earnings further. The in-built social media options come in handy too, seeing that you won’t have to install third-party plugins for the same function, which would only slow down your site. If you plan to build a news magazine with this template, you’ll love the breaking news section, which is useful in grabbing user attention. 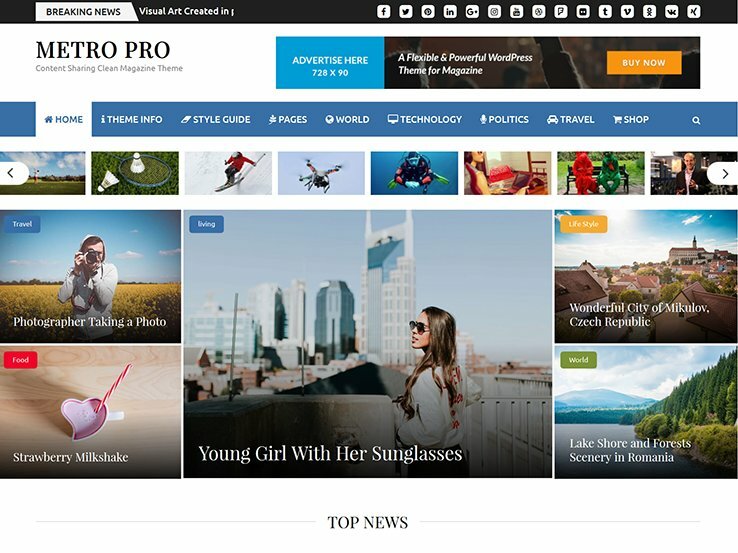 In terms of customization options, the Metro Magazine theme comes with several layout styles as well as unlimited color and typography choices so you can create a truly unique site. 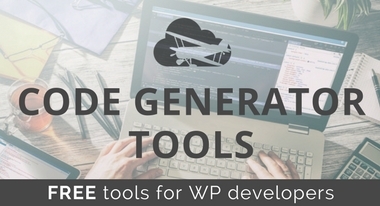 You’ll also find translation tools to help reach a global audience effectively, a set of custom widgets and eCommerce support if you’d like to sell products from your website. 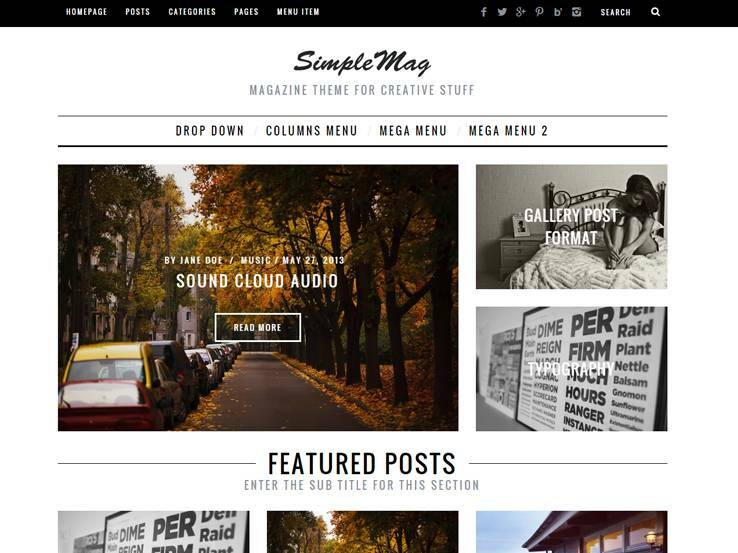 SimpleMag is a fully responsive theme with beautiful symmetry and minimal design that puts the focus on your content. The theme comes with various layout possibilities on both the homepage and the category pages. Look for an easy-to-use page builder, over 500 Google fonts and even a mega menu. On top of that, the theme is easy to customize with unlimited color scheme options so you can add your own style and build brand recognition. 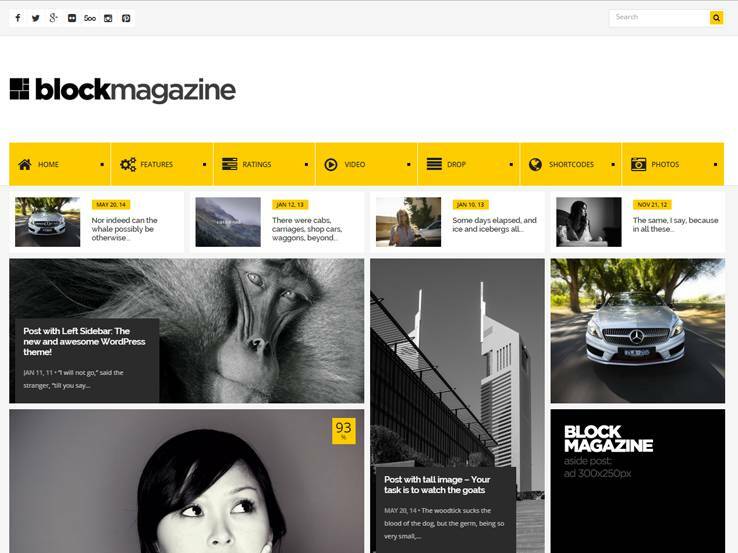 Block Magazine is a clean modern magazine theme with an advanced theme admin panel, automatic image desaturation, grid (Masonry) homepage, and extended custom menus with infinite scrolling. The image effect gives a stunning artistic feel to the homepage. The theme is also retina-ready and includes a flex carousel, responsive layout, and more. If you’re looking for a magazine theme with stunning imagery and a modern feel, this may be the theme for you! 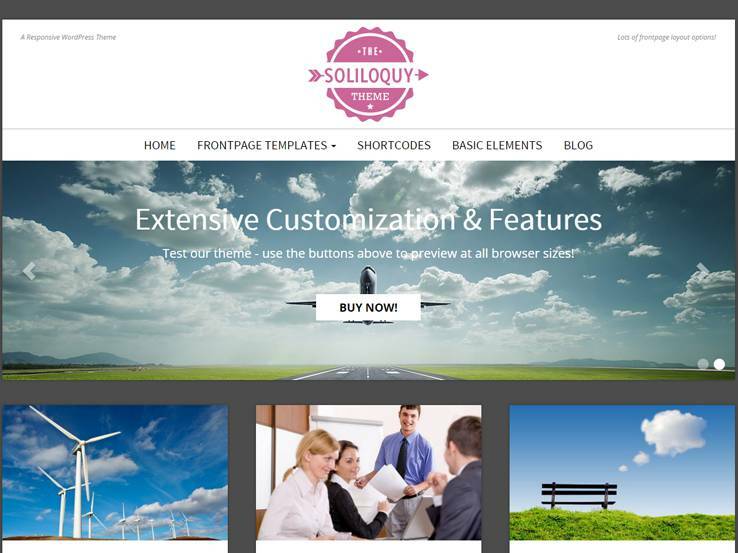 The Soliloquy WordPress Theme from Nimbus Themes offers a stunning visual experience that’s sure to make a lasting impression on anyone who visits your website. Look for a fully responsive layout with many optional sidebar positions depending on your content and featured image preferences. The included Soliloquy slider highlights featured images by displaying them in a full-width format. You can choose from multiple front page layouts, including a front page slider or static image, featured pages, home page content area, or blog feed. 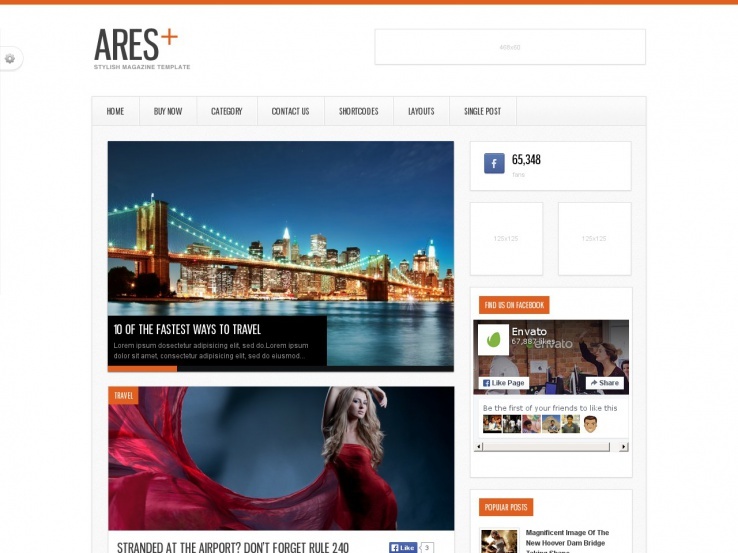 The Ares+ theme delivers a simple, clean, minimal design, and all the features you would expect from a Power Elite theme author on ThemeForest. Look for fully responsive design and a high-contrast image slider. 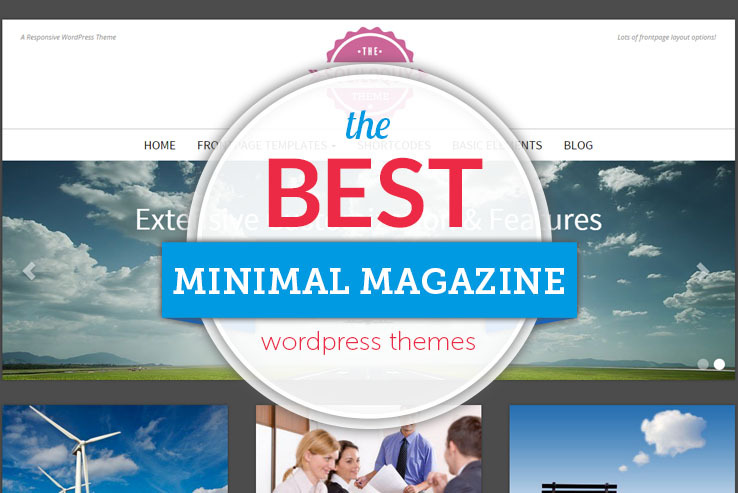 This theme also offers a number of page templates to style your magazine’s static content. Elegant typography is sure to highlight your content and six premade skins make it easy to find the visual style that best matches your branding. 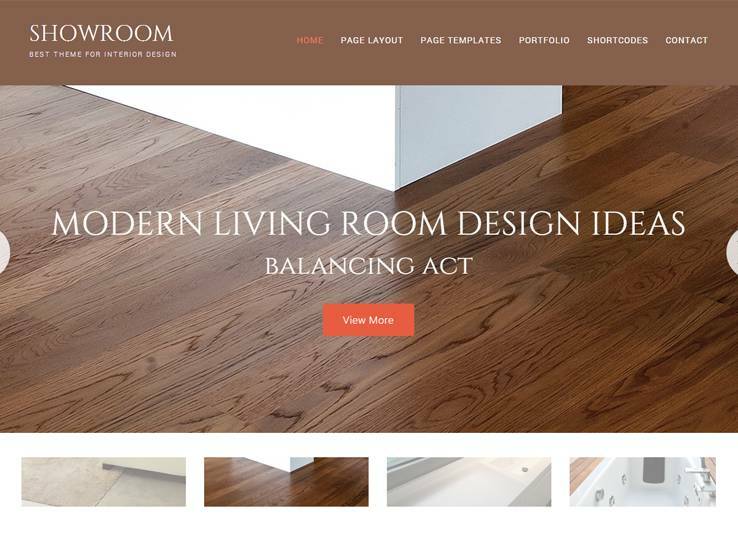 Showroom by ZigZag Press is a great choice for anyone looking to build a beautiful portfolio or business website. The minimal design of this WordPress theme ensures your website looks great on mobile devices and the theme includes elements to build a portfolio along with a large header with overlaying text and buttons that serve as great call-to-actions. The theme is highly versatile and can adapt to a variety of industries. Varying page templates and post layouts ensure that each of the areas on your site has a unique design. Shortcodes allow you to add more complex design elements such as buttons, toggles, columns, and more without touching a single line of code. Along with a Contact page, some convenient widgets and a minimalist design, you can’t go wrong with Showroom by ZigZag Press. IsleMag lets you place the focus on your content and nothing else. This colorful magazine WordPress theme keeps things simple and organized, yet adds pops of color amongst the whitespace to distinguish between the content you want to share with your loyal readers. Take a look at the header drop down menus to see that each category is a different color. After creating a unique and stylish carousel slider, notice how each featured post has a bold color backdrop for drawing attention to it right away. In addition to its simple and clean design, IsleMag offers a mobile-friendly, responsive design for reaching all readers. Plus, it renders well on all major internet browsers, is built using only the best code for speed and stability, and has plenty of built-in SEO optimization so your site ranks high in search results. 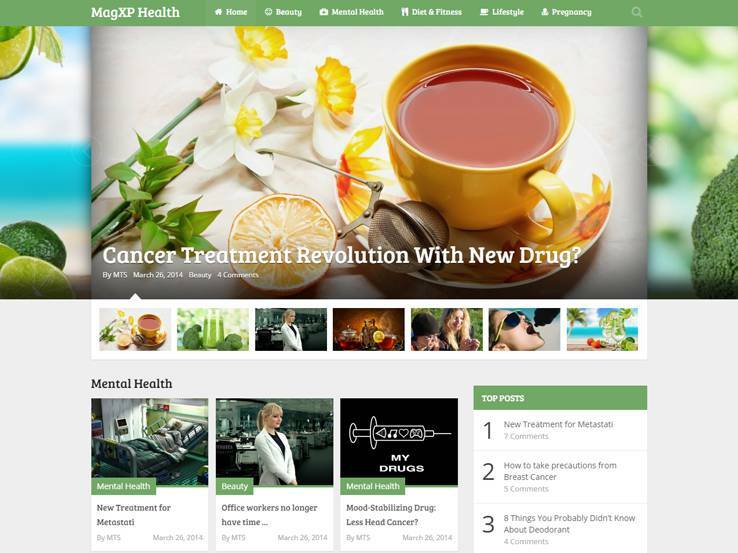 MagXP by MyThemeShop provides a fantastic layout for online magazines. The responsive layout ensures that anyone can view your website on mobile devices, and the integrated review system goes well with the minimalist design. 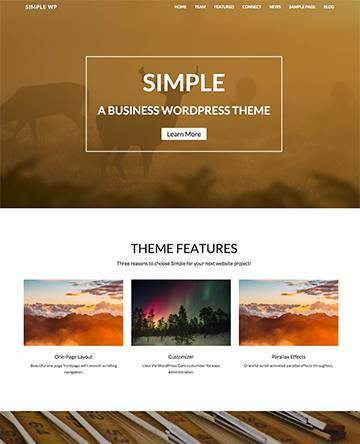 The MaXP theme also includes a drag-and-drop homepage builder, which is ideal for those who don’t have any development experience, and the unlimited sidebars allow you to add extra content to your pages in an organized way. The theme includes two different single post layouts and if you are experienced with code, you can add your own custom CSS and HTML. Keep in mind that the MagXP by MyThemeShop theme is built on a secure and agile framework, boosting page load speeds and improving your customization options. Choose from over 630 Google Fonts for your branding needs, and use the WooCommerce integration for selling merchandise. NewsTimes by MyThemeShop provides a clean, minimal layout that is responsive and looks great on mobile devices. NewsTimes includes a review system, meaning you can easily add reviews to any of your posts. The video post formats allow you to share videos from third-party websites, and the powerful options panel makes it easy to style any aspect of your website. Choose from unlimited colors to incorporate your own branding or use the custom CSS option if you’re more advanced with development skills. Implement as many sidebars as you need, and try the homepage layout manager to create a unique layout. 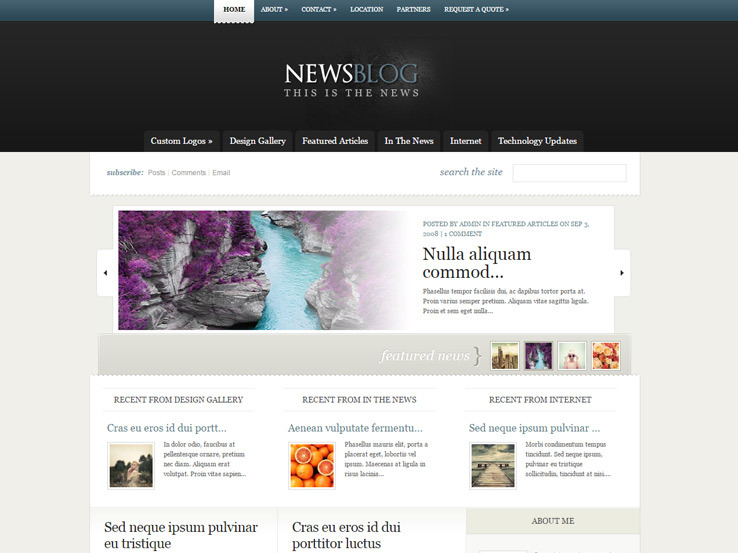 NewsTimes by MyThemeShop is translation-ready; you can translate your entire website into any language. Along with over 600 Google Fonts, a unique slider, and sleek social media icons, the NewsTimes theme is certainly an option to look into. 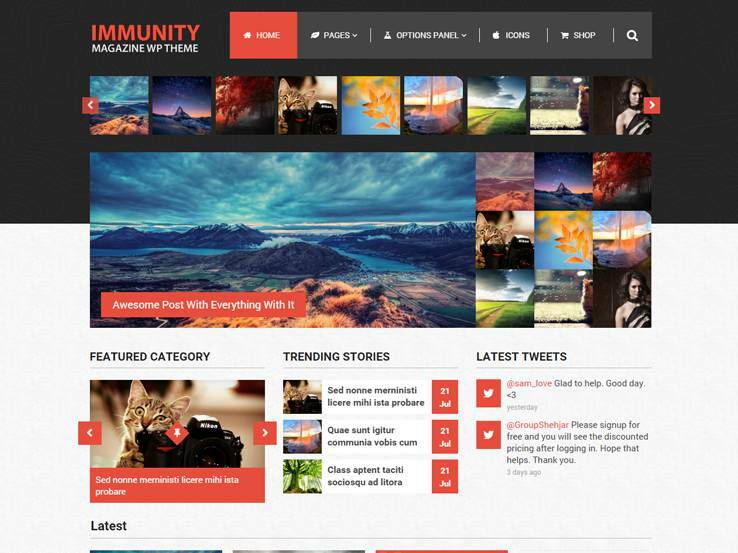 Immunity by Mythemeshop allows you to create an impressive magazine website with support for various media types. The theme is also fully responsive and features a minimal design that gives your content a chance to shine. Immunity comes with WooCommerce integration, which is perfect for selling merchandise and digital content. The theme also includes several blog layouts and post formats so you can share regular posts as well as audio or video posts to keep your readers engaged. The ad spots provide an additional monetization method. Shortcodes make it easy to add anything from buttons to columns, and the widgets allow you to add extra content to any of your pages. The premium support is a great bonus, and the translation tools allow you to reach a global audience. With an infinite amount of color schemes, you can quickly get the desired colors on your website. In addition, the featured lightbox tool is ideal for showing off your best images and videos. An unlimited amount of backgrounds are provided, so you can choose from varying textures, patterns, and images. The Google Fonts are a nice touch, and the integrated social media tools allow you to grow your social media following. 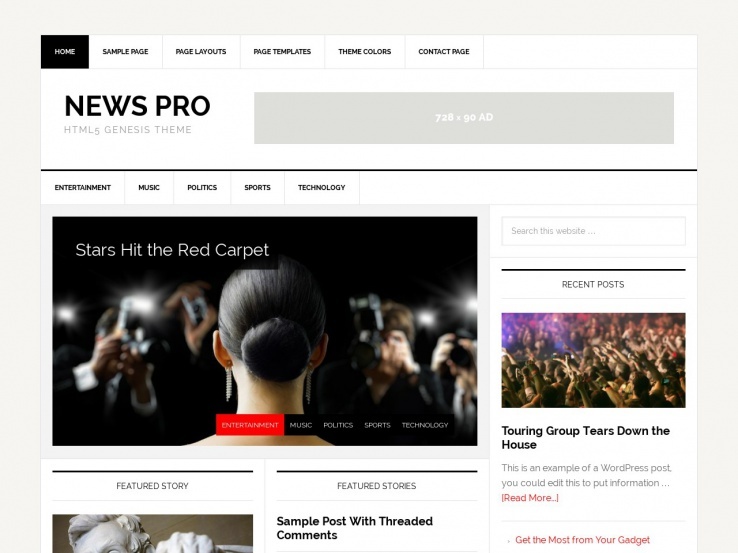 The News Pro Theme comes from the folks at Studio Press, meaning that it runs on the Genesis Framework, which allows you to build a truly powerful website. As with all the best magazine WordPress themes, the News Pro theme has custom page templates for adding variety to your site. 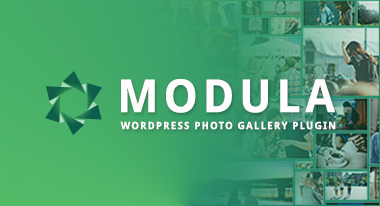 The widget modules allow you to quickly set up your homepage as well as add additional content to your sidebar or footer. The theme customizer allows you to control the colors of your website and upload a custom header image or a logo. 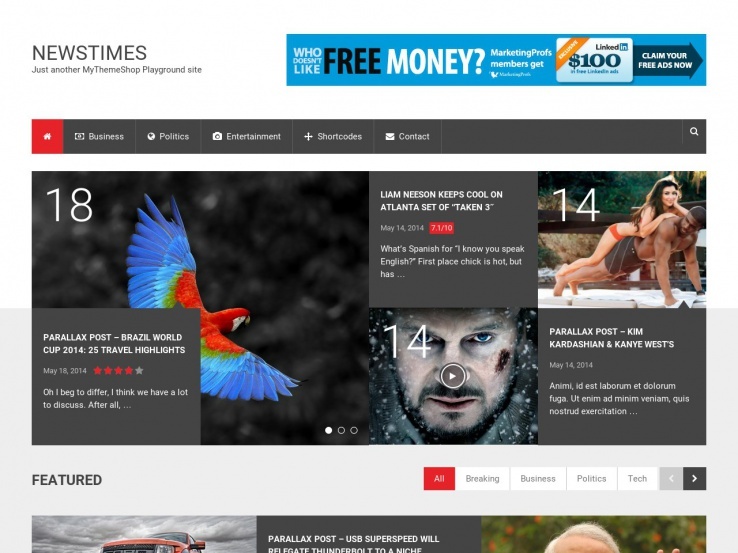 The News Pro Theme WordPress theme is completely responsive and one of the cleanest options you have on this list. It also includes custom styling for the Ninja Forms contact plugin. You can choose between several different layouts, depending on where you want your sidebar to be, or you can opt for a full-width layout. Add a search bar to make it easy for your visitors to find desired articles and use the widgets to show off your latest articles, links to social media profiles, or to encourage visitors to sign up for your email list. The News Pro Theme theme offers several places for ads, meaning you can easily insert Google Adsense ads or sell the ad space as a way of monetizing your website. 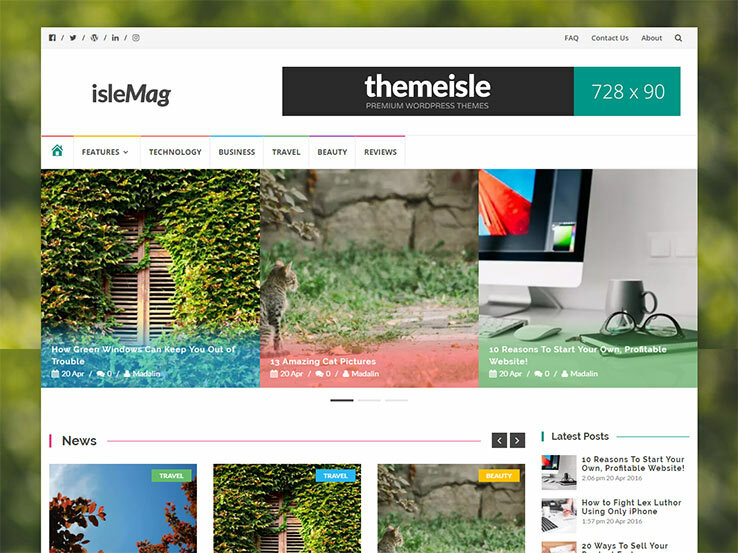 The OneEngine WordPress theme has a stunning design that can adapt to a variety of niches. It allows writers to share their articles in a professional format, but it also has some playful elements that are sure to grab the attention of your visitors. 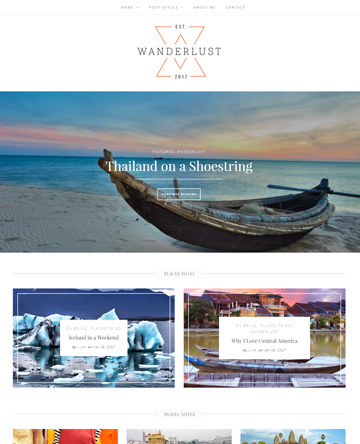 This is a responsive theme and it offers a full-screen header that can be configured to display a slider featuring your latest posts. This is a one-page theme, which means all the information is consolidated in various sections on the homepage. The Services section includes icons to highlight everything you or your company does, while the Skills section includes sleek animation effects. 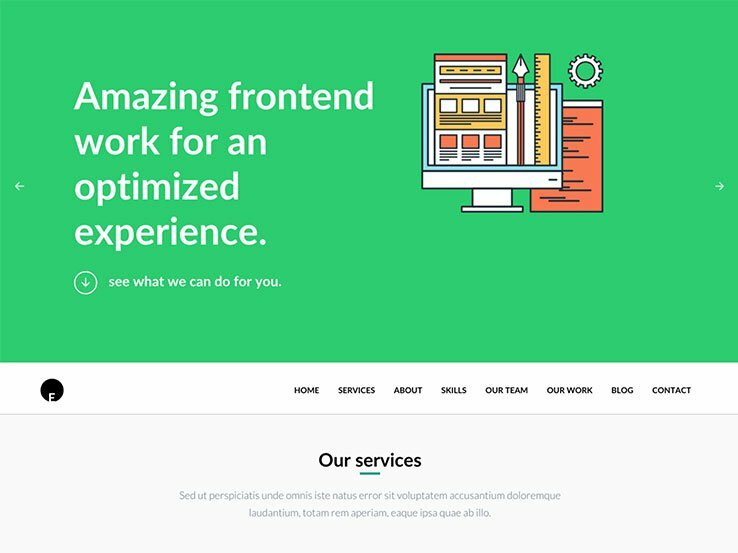 Parallax backgrounds are scattered throughout the homepage, which offer animations that won’t slow down your website. The theme includes a team section–a great way to feature your coworkers and include their profile photos and social media links. Include a portfolio section to show your best writing if you’re trying to break out as a freelance writer, or add pricing tables if you sell a subscription to your magazine. Share logos of clients you’ve worked with before and include testimonials to build your reputation. 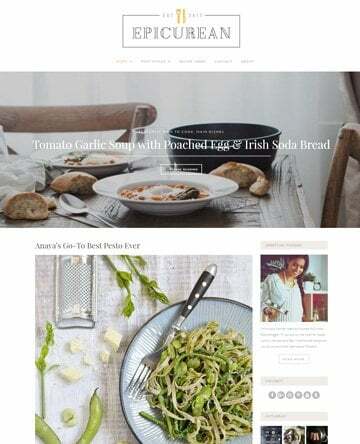 As you can see, this theme is highly optimized for working as a business information site, but in combination with the blog, it works well for magazines of all shapes and sizes. The eNews WordPress theme from Elegant Themes has more of a blog setup, but it can be used for a minimal magazine website as well. The theme focuses on showing content in a crisp and elegant format, using several widgets to highlight your articles without overwhelming the user. eNews includes localization files so you can easily translate your website, and the theme comes with five unique colors, which are a great starting point for adding your own style. Along with shortcodes and page templates, the eNews WordPress theme offers a considerable number of tools for customizing your website without the need to touch a single line of code. The eNews WordPress theme looks great on all mobile devices and provides two large navigational menus that make it easy to include all your pages without cluttering the rest of the website. The header area allows you to upload your own logo and an option to subscribe to your blog, as well as a slider that features your recent posts. The majority of the homepage is managed with widgets, so presenting recent news, galleries and other information is a breeze. Nice collection! I am wondering if those three themes can fit your list. They are also simple and clean. Thanks for bringing these to my attention. I’ll review for possible inclusion in the list.